First discovered in 1935 on Mr. 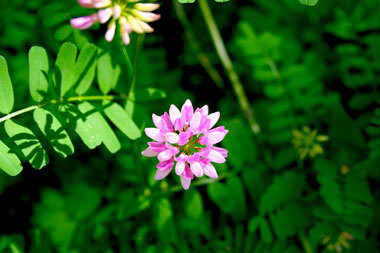 Gift's farm in Pennsylvania, Penngift Crownvetch (Coronilla Varia L. Penngift) is valuable as food for livestock, erosion control , and nitrogen feeding of the soil. The Pennsylvania Department of Transportation has planted it along roads throughout the state. 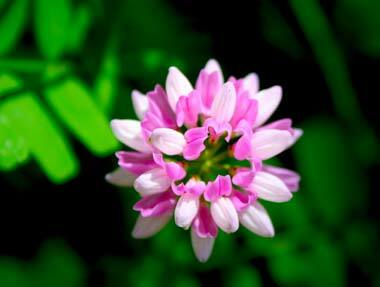 Penngift Crownvetch produces attractive rose, white, or pinkish-white flowers from June to September. Crownvetch is a spreading, long-lived, winter-hardy, drought-tolerant, herbaceous legume with angular stems that grow to a height of 2 to 3 feet during the blooming period, after which the plant forms a dense mat about a foot deep. Its principal use is for erosion control, soil building, and ground cover. It is especially valuable for holding banks along highways. The stand improves with age and gradually chokes out other weeds. It is also used for its ornamental value on steep banks and hillsides. 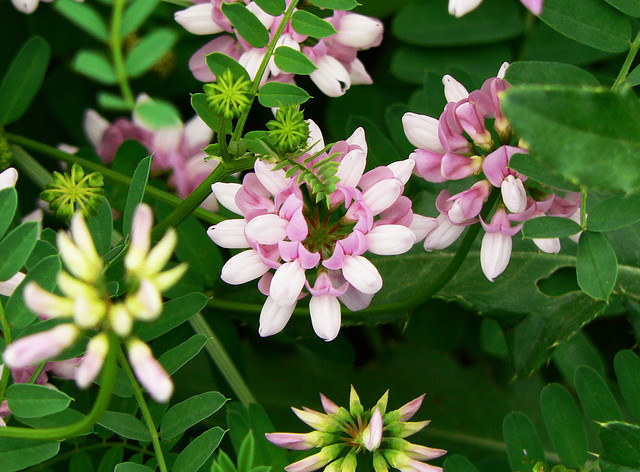 Crownvetch (Coronilla varia) flowers and foliage; photo by Jacob Enos on Flickr (use permitted with attribution / share alike). Crownvetch (Coronilla varia) flower close-up photo by Jacob Enos on Flickr (use permitted with attribution / share alike).